The tablet computer market, which once seemed to be dominated by Apple’s iPad, is now getting more and more diverse. 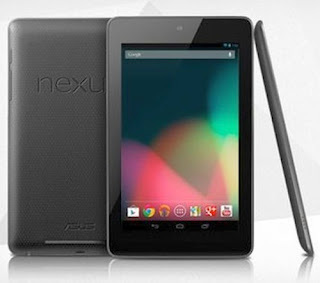 With the launch of the much-awaited Nexus 7, the battle of tablets has turned into a full-fledged war. While Apple stepped up the heat by announcing the iPad mini last week, Amazon had a rebuttal for that with a feature-by-feature comparison of the iPad and the Kindle Fire HD on their front page. Though the Nexus 7 comes with Android and some of the best features around, the Kindle Fire HD and the iPad are both established devices with huge content platforms backing them. For example, for every Kindle device that is sold, Amazon gets a new customer who will buy movies, music, and other content from them and only them. Though the Nexus 7 offers pretty much the same, the content that the Google Play Store offers is not strong enough to compete with what is there on Apple iPad and the Kindle Fire HD. That said, there is no big differentiation between the qualities offered by these devices. The three of them are top-notch performers in the tablet market and have been battling constantly for the top spot. As to who wins, it remains to be seen, but till then we can compare these three mini pocket-sized devices and figure out which one you should invest your hard-earned money in. The Kindle Fire HD comes in two variants: 16GB and 32GB. Both these variants are enough for any movie buff or music junkie. The Nexus 7 and the iPad mini both offer these variations but the iPad offers a 64GB variant too, which will please many movie fans. There’s no winner here but the iPad does a good job by adding an extra option for its consumers. Both the Kindle Fire HD and the Nexus 7 comes with a 7-inch screen. 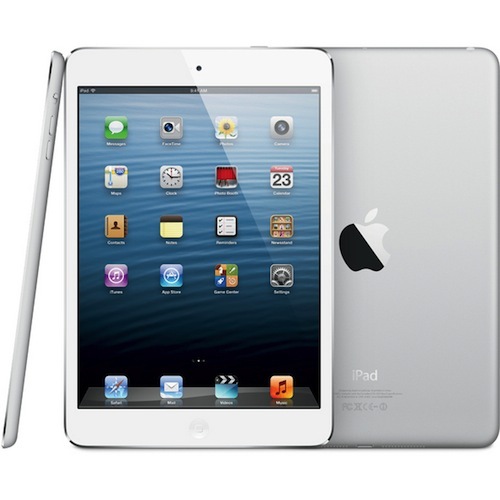 The iPad mini on the other hand offers a 7.85-inch screen, which is slightly better than its competitors. When it comes to resolution, the iPad mini loses to its competitors by offering a meager 1024x768 resolution as opposed to 1280x800 HD display offered by Kindle Fire HD and Nexus7. Though the Kindle Fire and the Nexus 7 offer similar display resolution, the Nexus 7 one-ups the former by providing a slightly bigger actual screen area. The iPad mini comes with a Dual-core A5 processor making it a great performer for watching movies and playing games as well. We don’t think any Apple fan would have any reason to complain about the performance of the device. However, Android lovers will be happy to know that the Nexus 7 beats the overpriced iPad mini again by providing a 1.3 GHz quad-core processor. 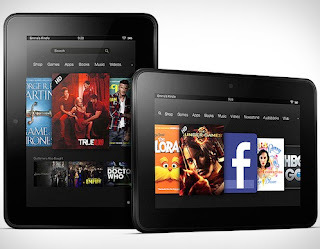 The Kindle Fire HD is one step behind it as it comes with a 1.2 GHz processor. Yep, that one is quad core too. Both the Nexus 7 and the Kindle Fire HD comes with a rear-facing HD camera with 720p video recording capability. The iPad mini though comes with a 5MP 1080p rear camera and HD front-facing camera with 1080p video recording capability. This puts the iPad mini much ahead of its competitors when it comes to camera quality and video chatting. 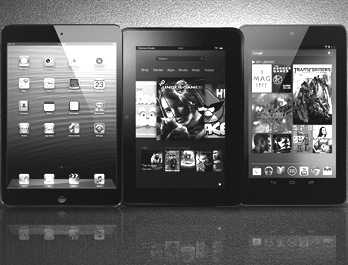 The iPad mini though larger than the Kindle Fire HD and the Nexus 7, comes out as the lightest of them all. The 308g device is much easier to carry around when compared to 395g Kindle Fire HD and the 340g Nexus 7. Definitely, the iPad mini wins again in this category. Though the iPad mini comes with the latest and the greatest OS Apple has to offer, it's not as good as what its competition has come up with. Marred by a big controversy surrounding the unfinished Apple maps application, iOS 6 doesn't quite measure up to Apple's high standards. No wonder it pales in comparison to Android Jelly Bean on Nexus 7. Jelly Bean comes with some amazing features that let it compete head to head with iOS. Even the recently launched Google Now feature gives a strong competition to Apple's Siri. Coming to Kindle Fire HD, it includes a highly customized version of Android making it the weakest amongst the three. The Kindle Fire HD and the Google Nexus 7 both are priced at $199 for the low-end device configuration. The iPad mini on the other hand is priced at a whopping $329 making it less accessible for everyone. There’s very little doubt that the Google Nexus 7 is the clear winner in this battle of 7-inch tablets. It’s a solid, high-performing, quality device that should outperform all of its competitors. --Worth buying if you’re looking for the best 7-inch tablet around. 1. For $199, Nexus 7 gives you 8G storage but Kindle Fire HD gives you 16G. 2. Comparing iTunes, Google Play and Amazon for apps, music, movie etc. 3,. And iOS pales compare to Jelly Bean? Whats the details on that? How much you got paid by Google to advertise Nexus 7? You just forgot one tiny little thing : a tablet is as usefull as the application you can install. On that particular point, the nexux 7 (which I own) and the kindle fire HD still pales in comparison whith the ipad mini. And on a personnal note : I'd rather have a 4/3 screen on my tablet, it is far more usefull in landscape orientation.